Have You Tried Seed Cafe? Seed Cafe is one of the newest all-vegan businesses opening around the Twin Cities. Focusing on simple, plant-based meals like salads, rice bowls, and wraps and giving some vegan comfort classics like ice cream a healthy twist, the cafe is currently in its soft opening phase. They also have a lot of gluten-free options and a coffee bar. 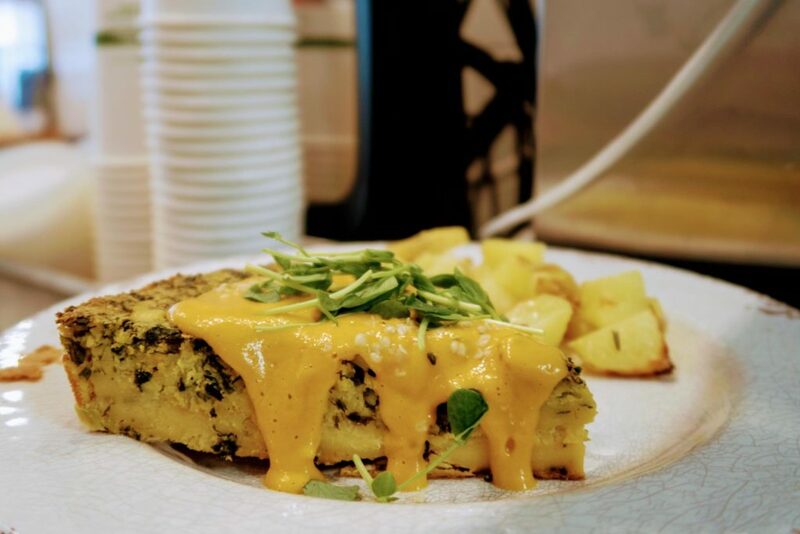 This past weekend, they were open for an 11 – 1pm brunch as a part of their soft open, offering mouth-watering options like a chickpea frittata, scrambled tofu breakfast burrito, kale caesar salad, the infamous millennial favorite – avocado toast – and more. Ryann and Phil Doucette decided to open the cafe next door to their Modo Yoga franchise in the Calhoun Village shopping center at 3253 W Lake St after the space opened up. 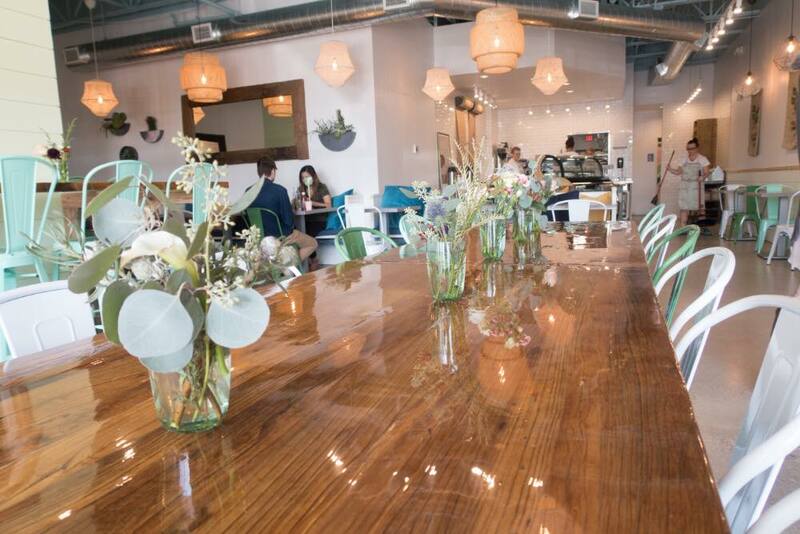 Seed Cafe marks their second restaurant endeavor – prior to moving their yoga practice to Minneapolis, they operated a cafe in Canada. Whether you’re looking to get your brunch on after yoga, get a snack from their fresh grab and go, or hang out for a couple of hours, Seed Cafe has you covered. The bright, open cafe will be open this week for more breakfast and lunch! Check out their website for their soft open hours and take a peek at their menu. This year marked some big additions for Twin Cities Veg Fest. We were in a new event space (thank you Harriet Island Regional Park!) and hosted 100+ vendors, new activities, more cooking demonstrations, roundtable discussions, more transportation options, and a 21+ After-Party. We even added music which included performances by the RedBone Singers, YaLonda Lolar Johnson, The Peace Life, The Sun Singers, Mistress Ginger and her band, Mary Bue, and DJ WAGZ. 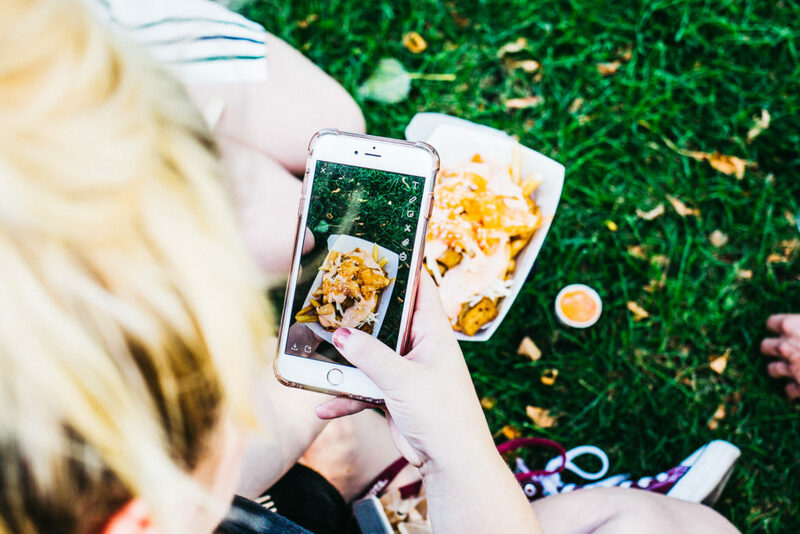 Festival food favorites included jackfruit nachos from Reverie, cheeze curds from Radical Eats and Herbivorous Butcher, pineapple smoothies from Jasmine Deli, and so many more delicious options from over 25 food vendors. These Wingz? even came all the way from Chicago, IL to sling their BBQ and buffalo seitan-based wings. These vendors showed that plant-based options can be fun, delicious, hand-held, and extremely satisfying. This year’s festival was pulled together by a 24-person planning committee, supported by 160+ volunteers, and enjoyed by over 9,000 attendees. Wow! To put that in perspective, 2017’s festival hosted 15 food vendors, 70 exhibitors total, had 150 volunteers, a 10-person planning committee, and entertained over 7,000 attendees. Whether you attended, presented, or volunteered at the event, thank you for making Sunday possible. Your participation in Twin Cities Veg Fest contributed to the momentum of the plant-based movement sweeping the country. Together, we moved the ball forward for the animals! To see more photos from Sunday, check out our Instagram feed and stay tuned for more video and photos released from the festival. Have some of your own to share? Post on social media and #tcvegfest! Thanks to generous donor contributions, we’ll be handing out official Twin Cities Veg Fest swag bags to the first 225 attendees! To get yours, make sure to arrive early and get in line Sunday morning at 151 W Water Street (the official festival entrance). 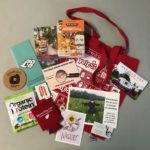 Dreaming of more Twin Cities Veg Fest swag? Official festival t-shirts will be available for purchase during the festival. Want yours for free? Sign up to volunteer Sunday at bit.ly/tcvegfest18vol to make a difference at the festival AND get a festival shirt! Meet Our New Communications Coordinator! 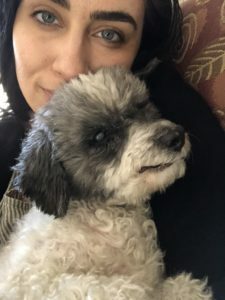 A couple of weeks ago, Compassionate Action for Animals announced that a new Communications Coordinator had been selected. Emily Nyberg began working with CAA yesterday, September 4th. Emily initially connected with CAA at several of the events we run and attend around Minneapolis and St. Paul, including Twin Cities Veg Fest and Twin Cities Pride. What struck her about the conversations she had with volunteers at events was the approach CAA uses to help individuals reconsider the impact their consumption habits have on farmed animals, our communities, and the environment. Emily comes with non-profit and for-profit marketing experience, having interned for a number of non-profits, including Minnesota Opera, Vintage Band Festival, and Sing for Joy, a radio station based in Northfield, MN. While at St. Olaf College, she worked on their Music Entertainment Committee (MEC), a student-run organization that produced music events for the student body. Emily held several positions during her four years on the committee, from Marketing Communications Officer to Committee Coordinator. 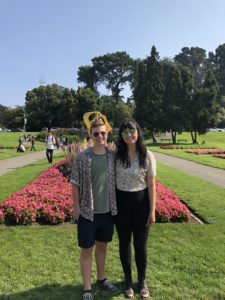 During her time on the committee, she most enjoyed connecting with other student-led groups to produce unique events for students to experience. She has spent the past two years on the marketing team at Parsons Electric, an electrical and technologies contractor, where she focused on video and graphics content creation for social media campaigns and sales. One of the video series she produced in 2017 was recognized by the Construction Marketing Association after a successful email outreach campaign, receiving their 2017 CMA STAR award for Video. 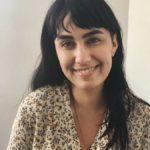 While at Parsons, she also wrote, designed, and distributed a new internal newsletter that informed employees about what was going on companywide. Emily was drawn to apply for the Communications Coordinator position by CAA’s continued work towards educating the Twin Cities community about the farming industrial complex and making resources supporting a compassionate, plant-based diet accessible and sustainable for all. She believes it’s important to continue to talk about the animals and “why vegan?” even after committing to a vegan lifestyle in order to continue to strengthen and grow the community. She is excited to support our community outreach events and potlucks and connect with more CAA volunteers. A large project she plans to start this year is the development of a communications plan for CAA that matches our mission and increases volunteer conversion. When Emily is not working in support of the animals, you’re likely to find her in the kitchen veganizing different dishes with her boyfriend Hayden, singing, studying herbalism, exploring Minnesota with friends and family, or behind the counter at Healing Elements, a yoga and wellness studio in St. Paul. We are excited to welcome Emily to the team. She will be at the 2018 Twin Cities Veg Fest and 21+ Veg Fest After Party on September 16. You can meet her there and join our celebration of the growing Twin Cities veg community! Come to the Community Tent at 12:00 to 12:30 and meet your fellow Meet-up and Twitter pals for a round of “Get to Know You BINGO”. Do you have questions about how to approach a plant-based diet? We’ve got you covered. Twin Cities Veg Fest has lined up several dietitians who will be available throughout the festival to help answer questions and provide resources to help you along the way to healthy living. Capture your memories of Twin Cities Veg Fest at our Photo Booth outside the tent. We will be inviting you to post your pictures using our hashtag #tcvegfest18. Learn about many of the events, programs, and initiatives of CAA, the organization that organizes the festival. 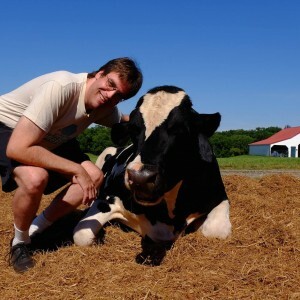 You’ll find many volunteer opportunities to become involved with cultivating empathy for animals and moving to a plant-based diet. Also, sign up to learn about becoming a mentor or mentee with CAA’s new mentorship program. We’ve lined up round table sessions that where you will be able to go deeper into topics you are interested in. These discussions will be led by our speakers and will field your questions. CAA launched Wholesome Minnesota in January. This exciting new program empowers volunteers to make change for animals through the institutions they’re connected to. Whether it’s a school, hospital, faith community, restaurant, or worksite, almost all of us frequent a place that serves food, and by leveraging our involvement, we can generate more plant-based options in our community. 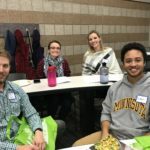 We held our first Wholesome Minnesota Advocacy Training in January in partnership with the Humane Society of the United States and Forward Food. Nearly 50 volunteers attended, and they went right to work making change at institutions using what they learned. First, Kacie Mathison spoke with the manager of her workplace insurance incentives programs. After a conversation about the benefits of Meatless Mondays, the manager agreed to implement employee incentive points for those who participate in Meatless Mondays. Way to go, Kacie! Next, Twin Cities Friends Meeting (Quaker) agreed to provide vegan options after their worship services each Sunday after advocacy from an attendee of the first training. After that Volunteer Henry Patterson connected CAA with a local catering company preparing more than 20,000 meals daily for charter schools, daycares, and home delivery. After meeting with Wholesome Minnesota leadership,the company agreed to trial vegan meals at a handful of local schools this school year. In May and June, volunteer Theresa Zingery and program coordinator Julie Knopp made multiple contacts with a suburban school district. The district agreed to serve plant-based meals this coming April for Earth Day. In July, program coordinator Julie Knopp and executive director Laura Matanah attended the Animal Rights Conference in Los Angeles, gathering new resources to share. There are two ways you can get involved in Wholesome Minnesota right now to keep this momentum going. Register to attend our second Wholesome Minnesota Advocacy Training on Saturday, September 8th at 1:00 pm, co-hosted by the Humane Society of the United States. You’ll even get a free lunch from The Herbivorous Butcher! You can invite friends on Facebook, too. Sign up for our volunteer newsletter take part in our growing initiative to get more plant-based options in Twin Cities restaurants. Each week in August, we’re inviting CAA supporters to share a simple, friendly message requesting vegan options at a local restaurant on social media. Just watch for the announcement in our weekly newsletter, and then copy-paste the text and post it to the target restaurant’s Facebook page. By showing local restaurants that a community of consumers is seeking more vegan options, we can inspire institutional change in Minnesota. For more information or to get involved, email Wholesome Minnesota Program Coordinator Julie Knopp at julie.knopp@exploreveg.org. I’m delighted to share that our hiring committee has selected a new Communications Coordinator: Emily Nyberg! Emily has strong professional communications experience, including project coordination, writing, social media management, graphic design, and video production. She has also worked with volunteers to organize events. Emily will begin work September 4. We look forward to telling you more about her in once she’s joined us in September. For now, we wanted to share our excitement about the ways she’ll be able to move our communications strategy forward. Many thanks to our hiring committee, which included two board members and a volunteer, for their hard work in finding the right person for the job. Twin Cities Veg Fest takes place on Sunday September 16 at Harriet Island Park in St. Paul. Volunteer to join us! Volunteering your time to a cause you are passionate about is the most effective way to make a big impact for the animals. Big or small, young or old, there are opportunities everywhere to make the festival a more welcoming and better place for all attendees. When people have a great experience at the festival due to the hard work or smiling face of a volunteer, that might be the push they needed to explore a plant-based lifestyle which will create a more peaceful world for animals bit by bit. Whether you’re a helping hand keeping the festival grounds clean, greeting attendees, or representing Compassionate Action for Animals at an outreach table, every role is important to create a welcoming and fun atmosphere at the festival. 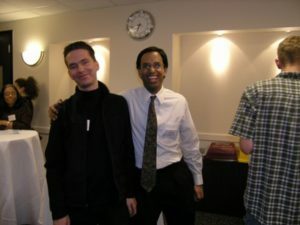 In addition to the positive effects your volunteer work has on the community of vegans and skeptics around you, volunteering is a fun way to meet like-minded people! 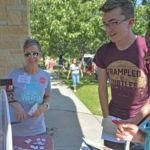 All volunteers for the event have the affirmative mindset to donate their time and services to make the festival a better place, and is a pool of positive connections ready to be made. 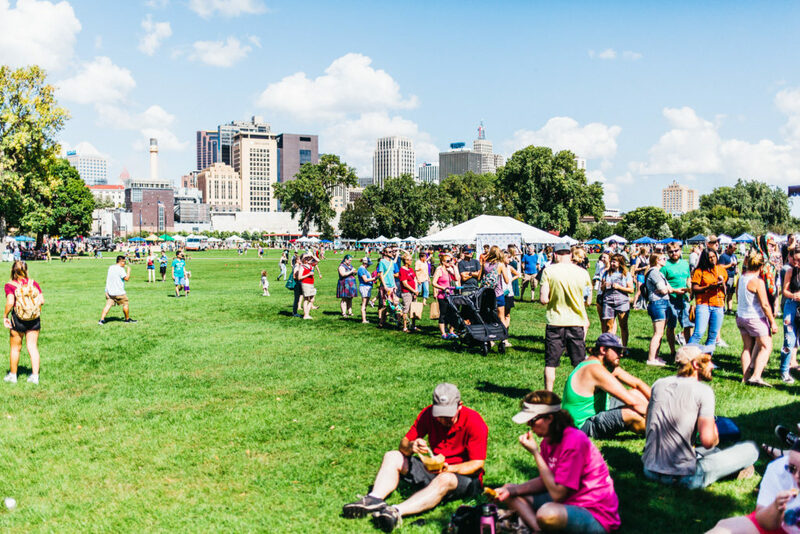 Each year Twin Cities Veg Fest relies on volunteers to keep the festival free for all and running smoothly, and we couldn’t do it without your hard work. I encourage you if you are able to join our team of dedicated volunteers and make a difference at this year’s Twin Cities Veg Fest! For a list of available positions and shift times we are looking for this year, please see our form at http://bit.ly/tcvegfest18vol. We look forward to working with you! We’re pleased to announce the winner of the 2018 Kenny Feldman Animal Advocate Award. We’ve created this award to recognize a person, organization, or business in our community whose amazing work is pushing the ball forward for animals. 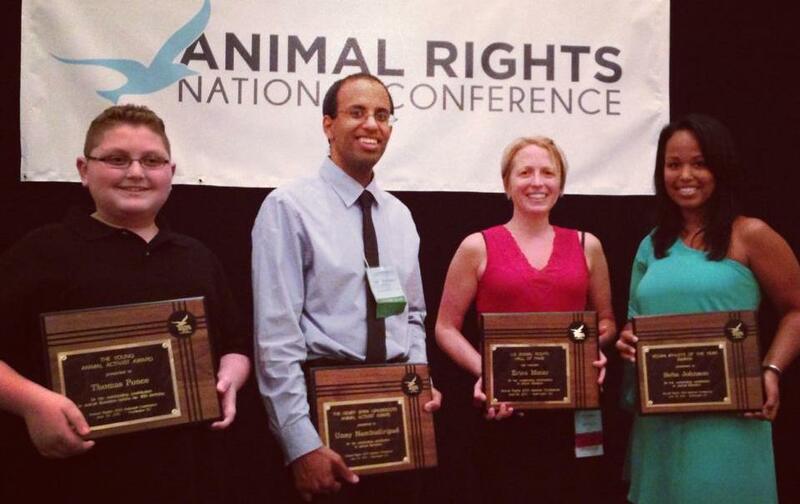 This year, in honor of Compassionate Action for Animal’s 20th anniversary, we’re giving the award to Matt Mackall, Unny Nambudiripad, and Dave Rolsky. All three were founders of CAA and have been critical to the growth of the organization and the animal rights movement, both locally and nationally. 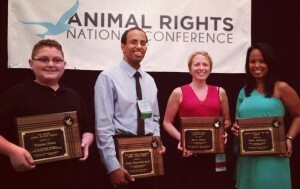 Unny Nambudiripad won the Henry Spira award for Animal Advocacy in 2013. Together Matt, Unny and Dave worked to bring many others to caring about and taking action for animals, just as Kenny Feldman inspired Unny to activism. This can be seen by the way that Compassionate Action for Animals programs, including Twin Cities Veg Fest, are thriving. It can also be seen in the movement for animals that exists in Minnesota today demonstrated by the many organizations and activists who will be present at the festival. CAA will present Matt, Unny, and Dave with the award at Twin Cities Veg Fest 2018 on September 16 at Harriet. The award presentation will take place in the Farmaste Speaker’s Tent just before the presentation on animal protection from Catskill Farm Sanctuary director Kathy Stevens. This award honors the memory of animal lover Kenny Feldman. He thought animals were to be cared for and allowed to a live a life with freedom. Kenny was a close friend of Compassionate Action for Animals co-founder and first Executive Director, Unny Nambudiripad. He inspired Unny to become an activist. Sadly, we lost Kenny to suicide 18 years ago. From that tragic loss, we were moved to establish this annual award to acknowledge the contributions of individuals who strive to create a more compassionate world. The Feldman family wants to thank CAA, Unny Nambudiripad, and current Executive Director Laura Matanah for helping preserve Kenny’s memory and continuing his legacy of being an animal lover and activist in animal rights campaigns. To find out more about Kenny, visit the Remembering Kenny Feldman Facebook page. 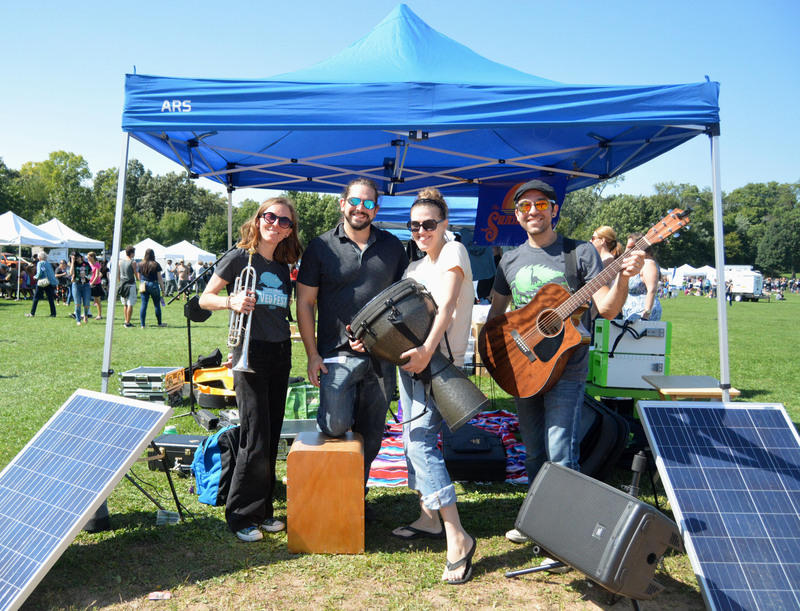 We’re Bringing Music and Arts to the Festival! You asked for more music and arts at Twin Cities Veg Fest, and this year we’re bringing it! 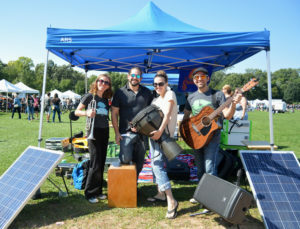 You’ll be able to hear a range of musical styles and participate in free interactive arts activities throughout the day. In the evening, we’ll have a 21+ after-party with more live music and a DJ! The Sunshapes performed at Twin Cities Veg Fest 2017. Here’s a taste of what you’ll experience: Bryan Schumann will provide live ambient music as background to guided meditations led by Dawn Morningstar and Freeman Wicklund; YaLonda Lolar will sing inspirational music; The Peace Life, a guitar and banjo playing duo, will share original tunes mixed with favorite covers, and The Sunshapes will perform their unique blend of folk/Americana, pop, and classical. Throughout the festival artist BrieAnna Lindquist will give attendees the opportunity to create screen prints of animals and veggies. To cap off the day, DJ Wagz will welcome you to our ticketed 21+ after-party where we’ll feature singer-songwriter Mary Bue as well as cabaret diva Mistress Ginger, glamourpuss supreme, who will share popular tunes of classic pop-rock with her band. Tickets will go on sale shortly. Funding for the equipment, electricity and staffing needed to support these artists is provided by generous donations from people like you. Each $1,000 we raise is being matched by a group of generous donors. Please help us reach our goal of $8,000 by August 25 by making a gift today. A generous group of volunteers helped to recruit and select this year’s performers. Many thanks to Nathan Gaut, Bryan Schumann, YaLonda Lolar, Ayanna Muata, Mitch Thompson, and Laura Van Zandt for their thoughtful participation. A full schedule of artists, times, and locations will appear on the Twin Cities Veg Fest website later this month.